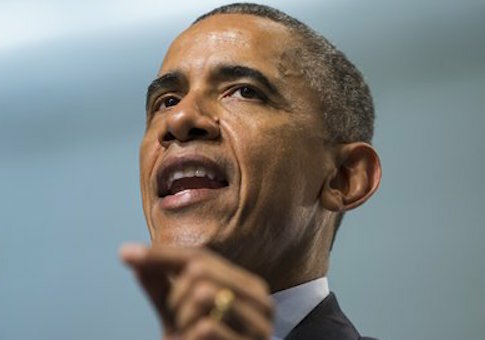 The commutations represented the largest number Obama has announced at one time, according to the Associated Press, and were mainly granted to prisoners held for nonviolent drug crimes. Many of the individuals were serving time for crimes involving cocaine and crack. Among those pardoned were a woman from Virginia sentenced to home detention and supervised release for bank fraud and a man from Ohio sentenced to probation for counterfeiting. Sally Yates, the U.S. deputy attorney general, said in a statement that the move demonstrated Obama’s commitment to "ensuring fairness in the criminal justice system." During his year-end press conference Friday afternoon, Obama touted the commutations and emphasized his desire to reform the nation’s criminal justice system in his final year in office. "There’s still a lot of work to do," Obama said. "I still want to work with Congress, both Democrats and Republicans, to reform our criminal justice system, and earlier today I commuted the sentences of 95 men and women who had served their debt to society, another step forward in upholding our fundamental ideals of justice and fairness." According to the New York Times, Obama has granted a total of 184 commutations during his time in the White House. The number he granted just this week exceeded the total awarded by the previous four presidents.